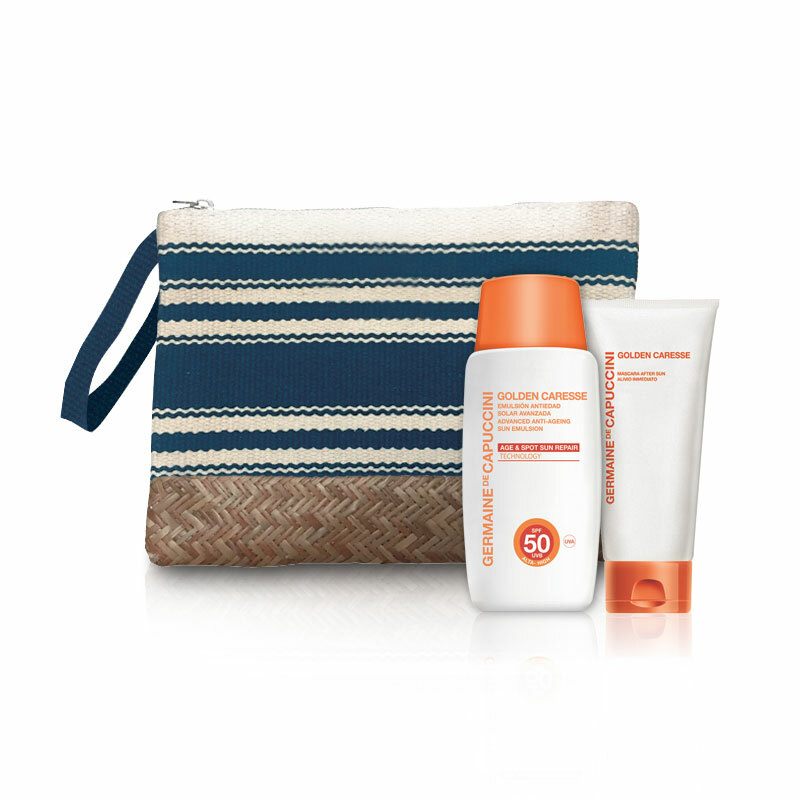 A limited edition summer bag containing our SPF50 sun protection and after sun for the face to keep skin protected and hydrated. (Worth £95) The Anti-Ageing Cream is best suited to the skin which is normal / dry and dry. This limited edition summer bag contains our advanced sun protection and after sun to keep your face protected and hydrated in the sun. 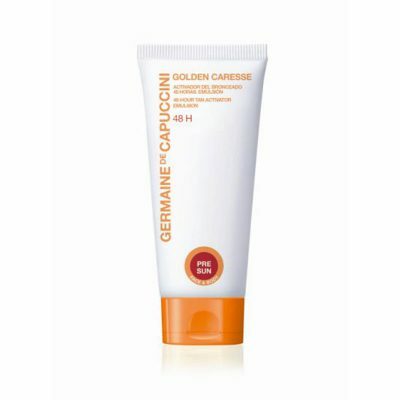 Advanced Anti-Ageing Sun Cream SPF50 (50ml): This advanced cream protects and repairs the stem cells, prevents the appearance of sun dark spots and safely stimulates the tanning process. 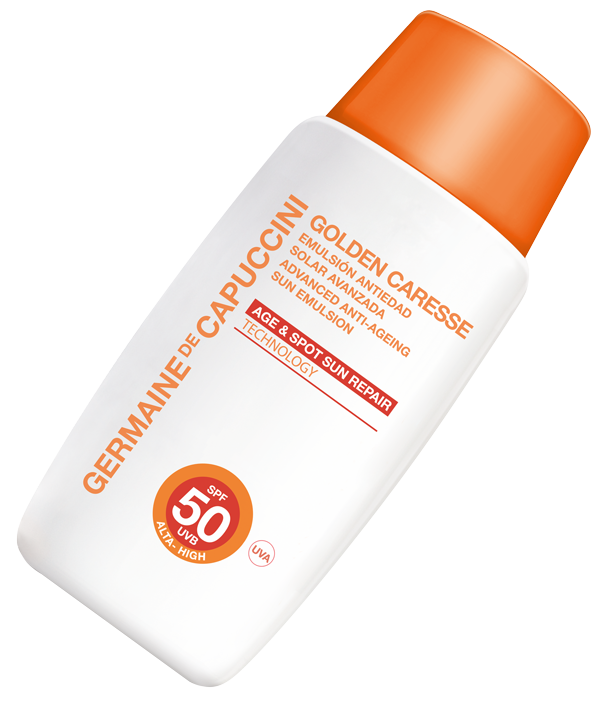 Highest UVA and UVB protection to European standard. 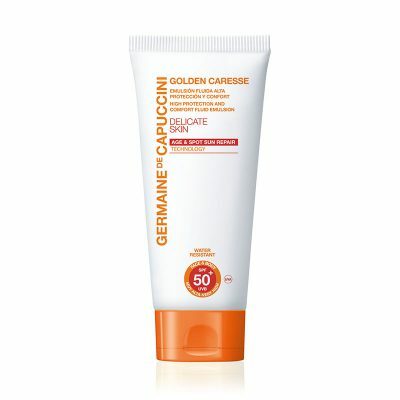 Icy Pleasure After Sun Facial Repair (50ml): This cooling after sun relieves redness, burning and helps your tan last. The skin is hydrated and nourished whilst its natural defences are reinforced to help repair the cells from sun damage. STM-Cell Sun Prevention: An exclusive complex stimulates the self-defence and self-repair mechanisms of Stem Cell. Therefore their capacity to repair and regenerate is not diminished, slowing down the ageing process. Dark spots are prevented, and those that are there are corrected. Use the Emulsion for the face before exposure to the sun, – for skin which is dry / very dry apply over your usual moisturiser. For skin which is mixed – simply use this each morning, it will not be necessary to apply a moisturiser beforehand. After exposure to the sun, cleanse the skin and apply the After Sun Facial Repair treatment instead of your usual moisturiser. Glycol, Magnesium Stearate, Aluminum Hydroxide, Potassium Sorbate, Disodium EDTA, Xanthan Gum, Ethylhexylglycerin, Phenoxyethanol, Parfum (Fragrance), Benzyl Salicylate, Coumarin, Linalool, Alpha-Isomethyl Ionone, Eugenol. Dimethicone Crosspolymer, Menthyl Lactate, Helianthus Annuus (Sunflower) Seed Oil, Acrylamide/Sodium Acryloyldimethyltaurate Copolymer, Serine, Ethylhexylglycerin, Disodium EDTA, Triethanolamine, o-Cymen-5-ol, Phenoxyethanol, Parfum (Fragrance).